One of AsidCast’s favourite games this E3 undoubtedly was Ghost of Tsushima. The game explores Japan during the Mongol invasion like never before. With soothing flute music, vast terrains, and well-presented samurai fight mechanics, Ghost of Tsushima is a playable Akira Kurosawa movie. Chris Zimmerman, the co-founder of Sucker Punch Studios has accepted that Kurosawa movies have been a huge influence. Akira Kurosawa is one of the greatest moviemakers in the history of cinema and his movies inspire aspiring directors and screenwriters even in this day and age. 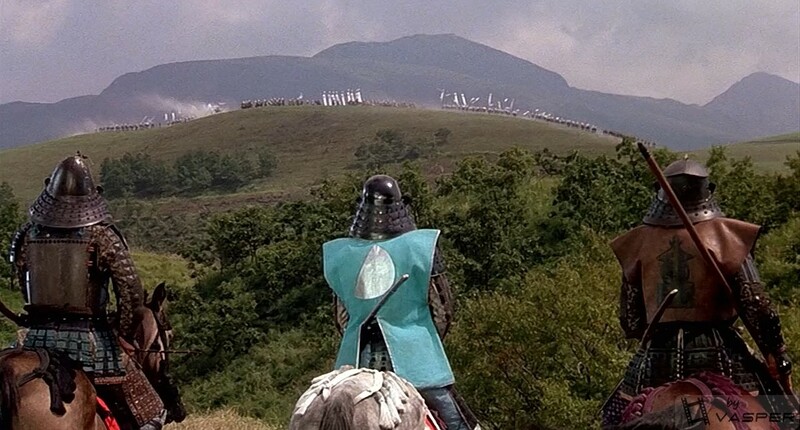 In this article, we cover some essential Akira Kurosawa samurai movies that one should watch before playing Ghost of Tsushima. The Hidden Fortress was Akira Kurosawa’s first ever widescreen film. Unlike other Kurosawa films, the story of the movie is told through the lowest of characters i.e two thieves. That particular way of storytelling also inspired George Lucas while he was writing the screenplay for the first Star Wars film (C3PO and R2-D2 are mirror images of the two thieves). This movie is fast-paced, thrilling, and really entertaining. Even though this movie doesn’t have a lot of standard samurai action, this is a period film that we highly recommend anyone to watch. This is the film that introduced the ‘Best Foreign Film’ category in the Oscars and also employed various filmmaking techniques for the first time ever(eg: handheld camera, pointing a camera directly at the sun, and mixing ink with water to make rain appear visible on screen). This is also a very short feature film(running for about 88 minutes) and one of the shortest movies of Kurosawa’s career. There are many contrasting visions in the movie, which makes it more and more intriguing as we dive deeper into the runtime. The term ‘Rashomon Effect’ is coined after this movie. Ran is one of the few Akira Kurosawa Samurai films in color, and the plot of the movie is a nihilistic version of Shakespeare’s King Lear. This film is also one of the largest Kurosawa projects, with the budget of the movie being around 11 Million USD. The film looks stunning (most of the shots are mid or long shots) and also has a brilliant array of handmade costumes and fine armor. The flute based OST that we hear prior to the E3 2018 gameplay of Ghost of Tsushima also draws inspirations from Toru Takemitsu’s Flute OSTs in Ran. 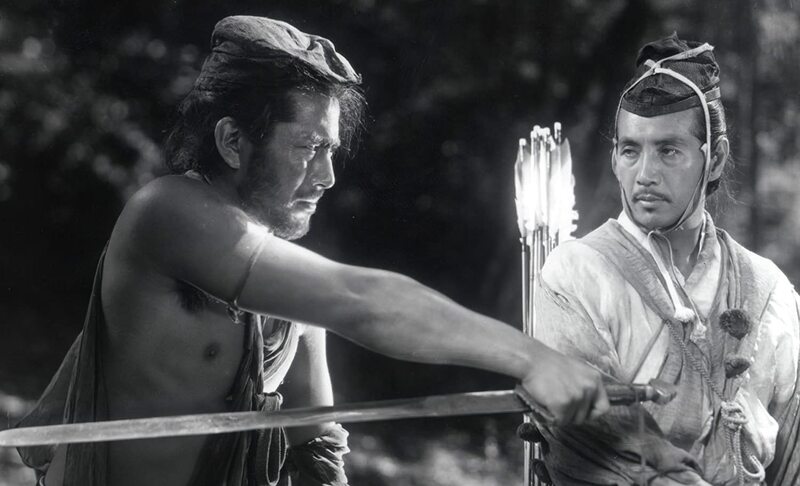 Ran explores human nature, warfare, and hopelessness in a unique way by merging Samurai action with Shakespeare’s play and is also often deemed to be ‘Kurosawa’s last epic’. 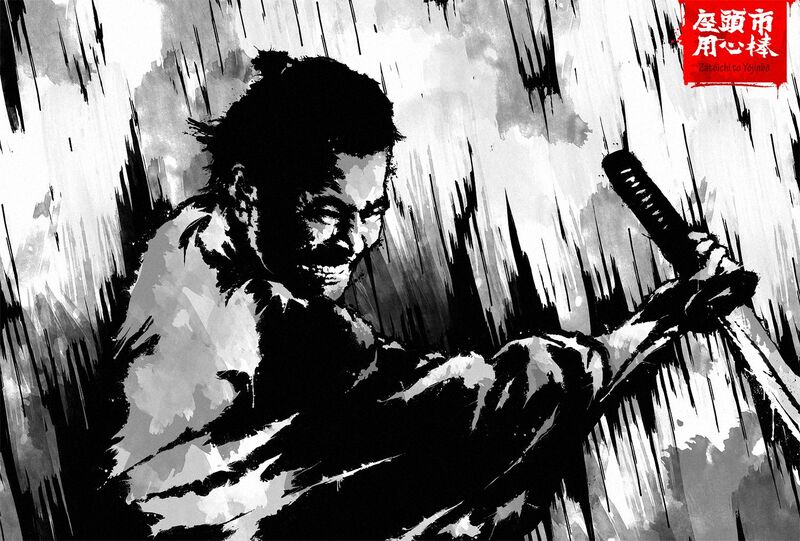 Yojimbo is a tale about a nameless samurai who almost single-handedly creates a large-scale gang war in a small village in contemporary Japan. The movie is action-packed, has excellent photography and really entertaining writing. It also had a perfect balance between dark humor and slapstick comedy. Yojimbo was the movie inspired Sergio Leone to create the Man with No Name trilogy. A Fistful of Dollars, the first movie of the trilogy has a plot that follows Yojimbo very closely. Being the longest picture in Kurosawa’s career, this is a film in which a group of villagers hires seven Samurai to protect the town from ferocious bandits who inflict a state of terror on the village. The idea for the movie started out as a story about the daily life of a samurai, but it kept evolving till it became a story involving seven samurais in which all samurais were based on historical characters. The movie has a balance of all kind of emotions – happiness, sadness, hopelessness and even a bit of humour. The battle sequences in the movie were decades ahead of its time, and have inspired many other battle sequences in cinema(eg: The battle of Helm’s Deep in The Two Towers). Seven Samurai is not only deemed to be the best Kurosawa movie by several critics, it is also often regarded as one of the best movies ever in the history of cinema. Stay tuned with AsidCast for information and news about Ghost of Tsushima and several other games! Just another person obsessed with video-games, movies, anime, and shows.